Why dont some of your heartless daughters3 write to me? If they only knew how lonely and alone I am they surely would. I can stand it very well through the day when there is plenty of work and bustle at the office4, but at night my soul yearns a good deal for my own kind and for those three beloved girls of yours. I would give anything just to see Jack5 ten minutes. I dream about those big tender gray eyes6 of his every night. The Axtells7 are gone West now, and from days end to days end I see only the prim old maid8 who keeps my boarding house9 and my stenographer. —Dont that sound large,my stenographer!— 2You see the entire responsibility of the first issue10 devolves on me. We are of course short of Manuscript on the start and I have written fully one half of the magazine11. Then the foreman is not used to magazine work and I have to oversee everything that goes on in the composing room. I'll tell you my old Hesperian12 experience13 helps me out there. I was down in composing room until one oclock last night sweating over those forms and making up the pages. Then I have all the my manuscript reading and purchasing for the September number, and all the correspondence with literary people, which of course demands some care. Fortunately the stenographer is an exceptionally good one and knows how to 23 spell. The responsibility is something awful. I dream about that magazine every night. Now Mrs. Gere I want to ask a big favor of you, and no one but you can do it. I want to write an article14 on Mrs. W. J. Bryan15 and Mrs. McKinley16 before any of the other magazines do. Its a chance for a big "scoop" and I want to make a grand success of it. The old maid who keeps my boarding house knew Mrs. McKinley well in her youth. I have worked her for all she is worth and got lots of valuable data. 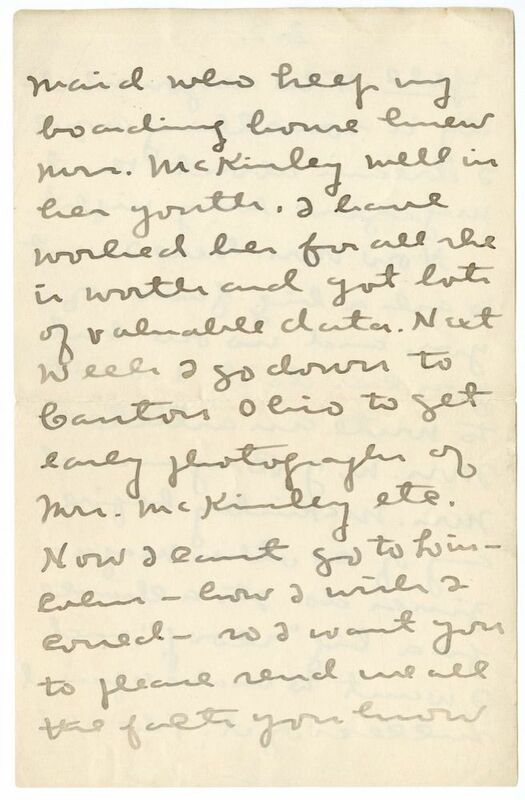 Next week I go down to Canton Ohio17 to get early photographs18 of Mrs. McKinley etc. 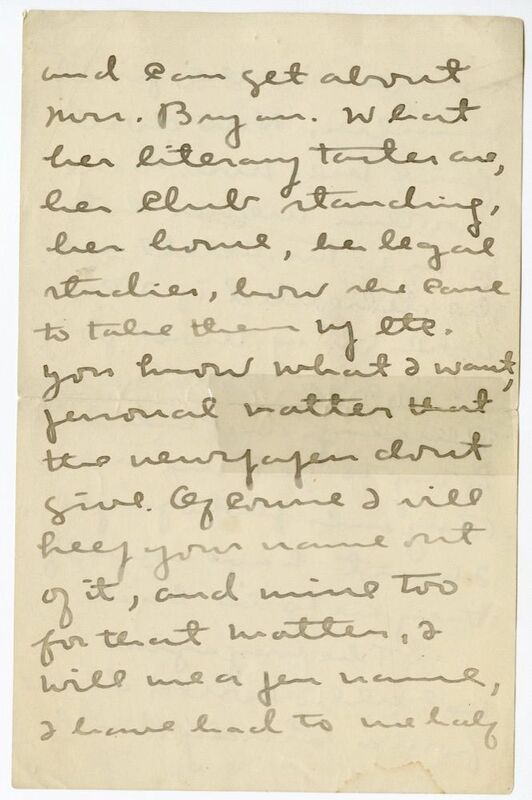 Now I cant go to Lincoln19—how I wish I could—so I want you to please send me all the facts you know and can get about Mrs. Bryan. What her literary tastes are, her club standing, her home, her legal studies, how she came to take them up etc. You know what I want, personal matter that the newspapers dont give. Of course I will keep your name out of it, and mine too for that matter. I will use a pen name20, I have had to use half a dozen in the first number21. Now dont fail me, Mrs. Gere, for this means lots to me. Mr. Axtell22 will be delighted if I can work it up thoroughly. I will write to Captain Phillips23 and ask him to try to get me Mrs. Bryan's photograph24. I must have some if they are to be had. The magazine is not all I could desire from a literary stand point, its policy is rather namby-pamby, but of course that is the publishers'25 business, not mine. I want to show you all that I can take up a thing and stick to it even if it dont just suit me. The great key of success is to work when you are not suited, I fancy. You would'nt know the lazy girl I used to be in me now. Even the stenographer has been lectureing me about working too hard. If Mr. Axtell is suited, I'll make this thing succeed. I never felt so able to work before. My own literary work I will have to keep up outside largely, its a little too heavy for whats wanted in the monthly. Of course its a little hard for me to write gentle home and fireside stuff, but I simply will do it. Its so satisfactory to be really of some importance, to have something to do that no one else can do quite as well. It takes all the ennui out of life. At first I rebelled at some things, I had to learn that every editor is not a Mr. Gere26 or a Mr. Jones27. But I have learned that now and have resigned myself to the fact. I mean to stick this thing out. Thats the size of it. Three tall, plain, stiff, prim, Presbyterian Miss Rushes28 called on me this evening, three of Lydas29 ten thousand cousins. I was very demure and discussed flower gardening church music. Give my love to the three girls who have forgotten me, and much to yourself and Mr. Gere. Document is six leaves, handwritten on recto and verso of each leaf. 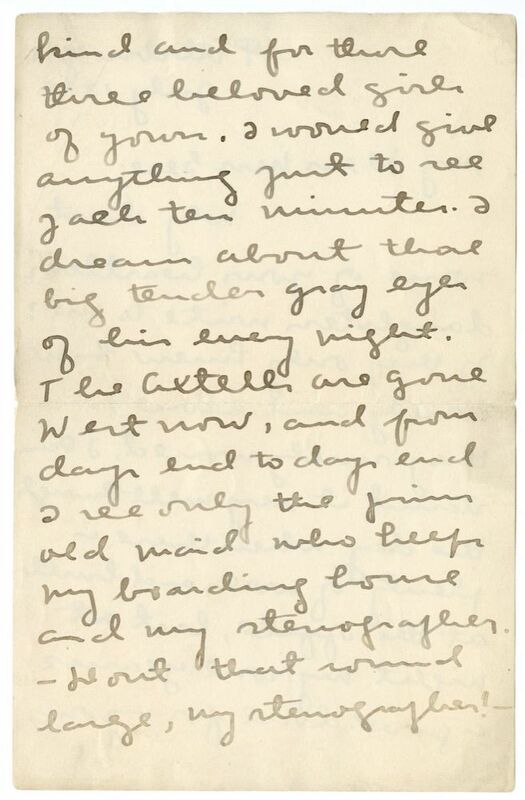 Cather published several poems based on Jack in her first years in Pittsburgh: "My Little Boy," "Thine Eyes so Blue and Tender," and "My Horseman," (all 1896), and "Are You Sleeping, Little Brother" (1900); Jack, in the story, "Jack-a-Boy" (1901), has "big, tender, gray eyes." Located at 309 South Highland Avenue, on the east end of Pittsburgh, six blocks from the Home Monthly office. The August 1896 issue of the Home Monthly contained, among other pieces, Cather's short story "Tommy, the Unsentimental," as well as "The Princess Baladina--Her Adventure" which she published under the pen-name Charles Douglass. The unsigned editorial page has also been attributed to Cather. While attending the University of Nebraska, Cather was first the literary editor then the managing editor of the university's literary magazine, the Hesperian. Cather included this photo in "Two Women the World is Watching," with the caption: "Mrs. McKinley When Cashier of Her Father's Bank at Canton, O." Cather published "Two Women the World is Watching" under the pen-name Mary K. Hawley. 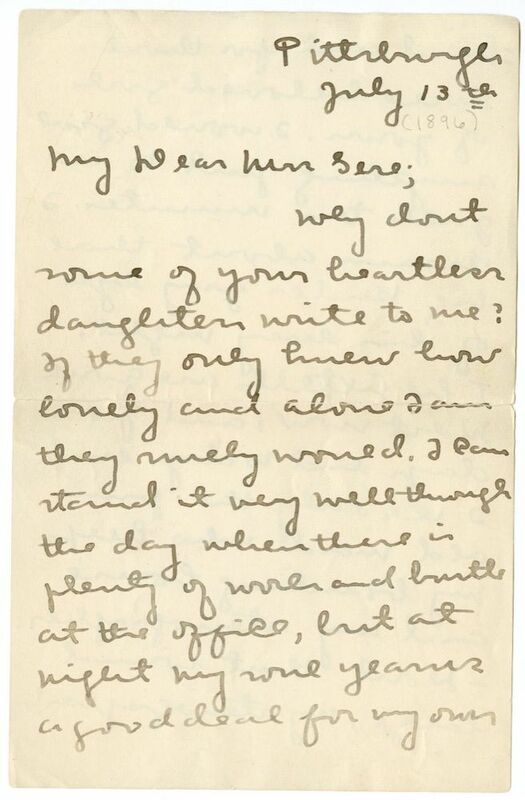 In the August 1896 Home Monthly, only the unsigned editorial page and the short story "The Princess Baladina--Her Adventure," signed Charles Douglass, have been identified as having been written by Cather, along with "Tommy, the Unsentimental" published under Cather's own name. Cather included this photograph in "Two Women the World Is Watching" with the caption: "Mrs. Bryan." 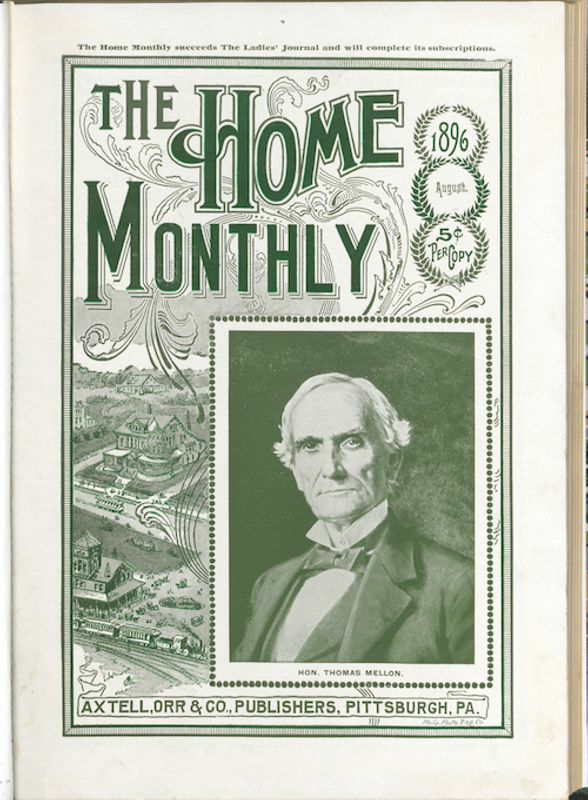 Axtell, Orr, and Company published the Home Monthly. Meskimen, Harriet J. (c.1837-c.1918). Pittsburgh boarding house proprietor. Harriet J. Meskimen ran a boarding house located at 309 Highland Ave., Pittsburgh, PA, where Willa Cather stayed beginning in 1896. In 1897, when Meskimen moved her business to 304 S. Craig Street in Pittsburgh, Cather moved with her. Meskimen was married to James Meskimen who died c.1899. Their daughter, Florence Meskimen, helped Harriet run the boarding house. Bryan, Mary Baird (1861-1930). American lawyer and political wife. Born in Perry, IL, Mary Elizabeth Baird graduated from Presbyterian Academy in Jacksonville, IL, in 1881. She married William Jennings Bryan in 1884 and moved with him to Lincoln, NE, in 1887. She read law under her husband and passed the bar exam so that she could assist him in his law practice. When he entered politics, she followed him to Washington during his Congressional terms and during his two years (1913-1915) as Secretary of State. 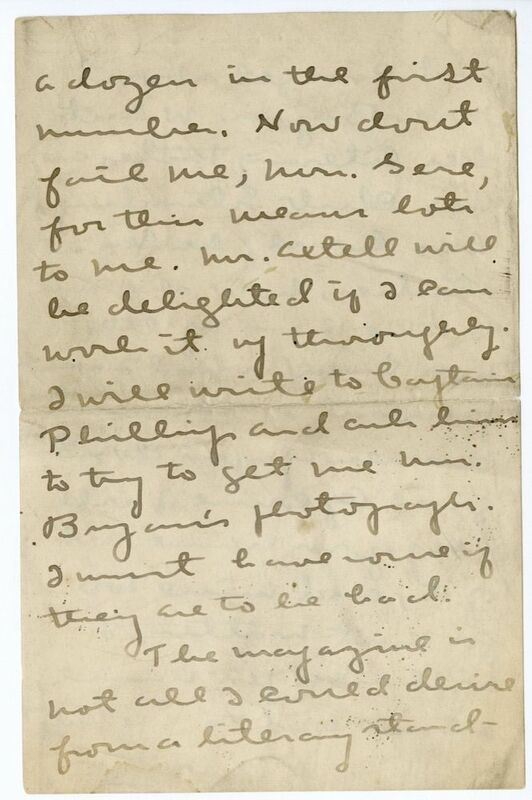 When he traveled the country as an orator, she managed their home in Lincoln. 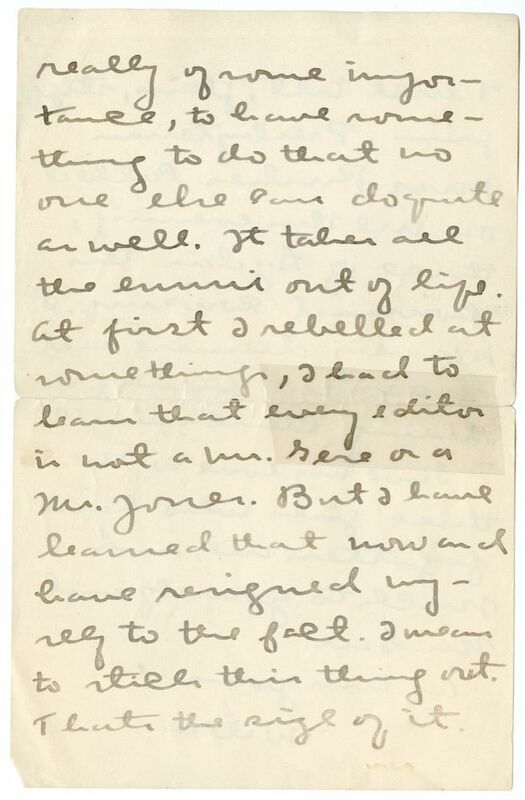 She completed the Memoirs of William Jennings Bryan after his death in 1925. 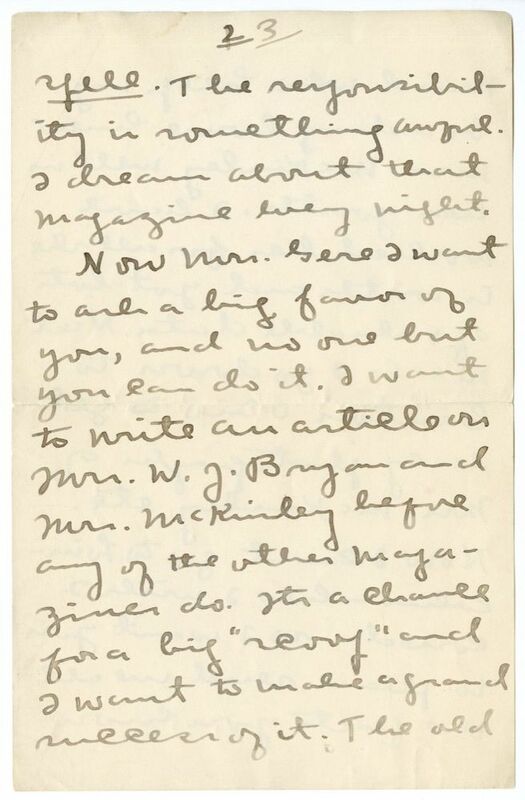 As a student at the University of Nebraska, Cather was apparently slightly acquainted with William and Mary Bryan. 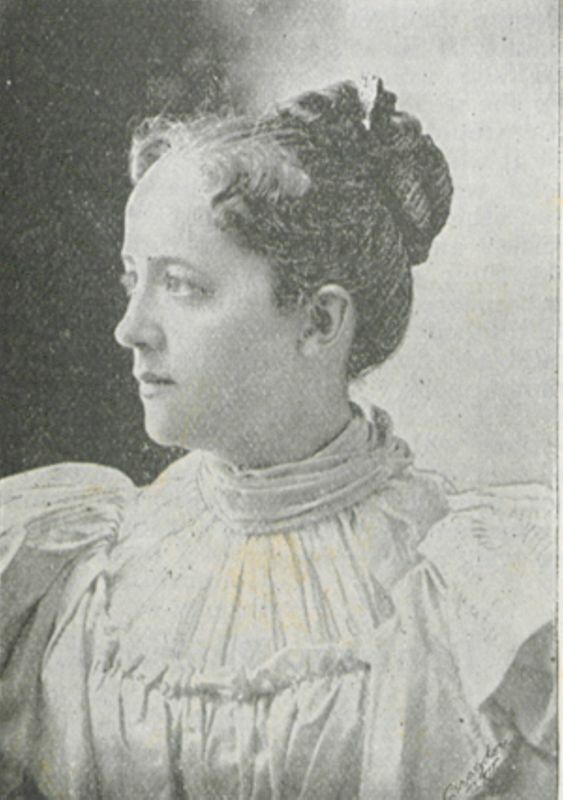 Under the pseudonym Mary K. Hawley, she published a joint profile of Mary Bryan and Ida Saxton McKinley (wife of William McKinley), “Two Women the World is Watching,” in the Home Monthly (September 1896). McKinley, Ida Saxton (1847-1907). American first lady. 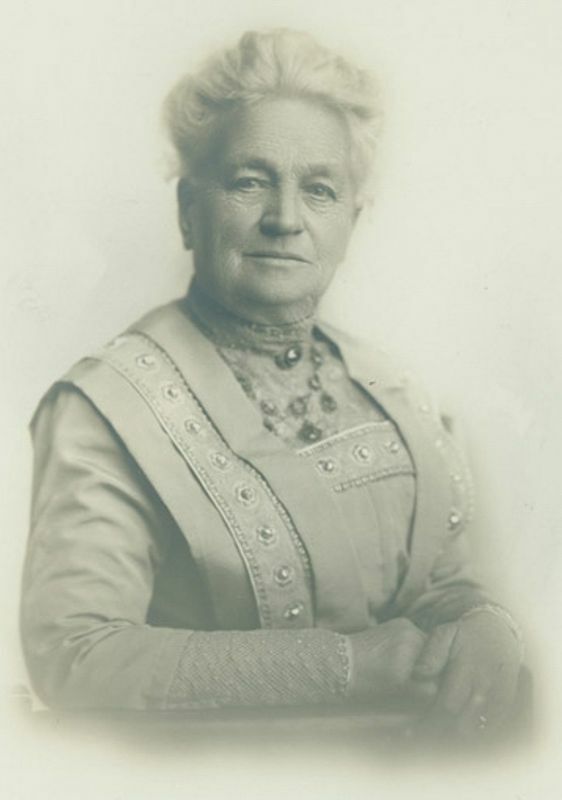 Born and reared in Canton, OH, eldest daughter of a banker and his wife, Ida was educated at private schools, after which she went on a tour of Europe. 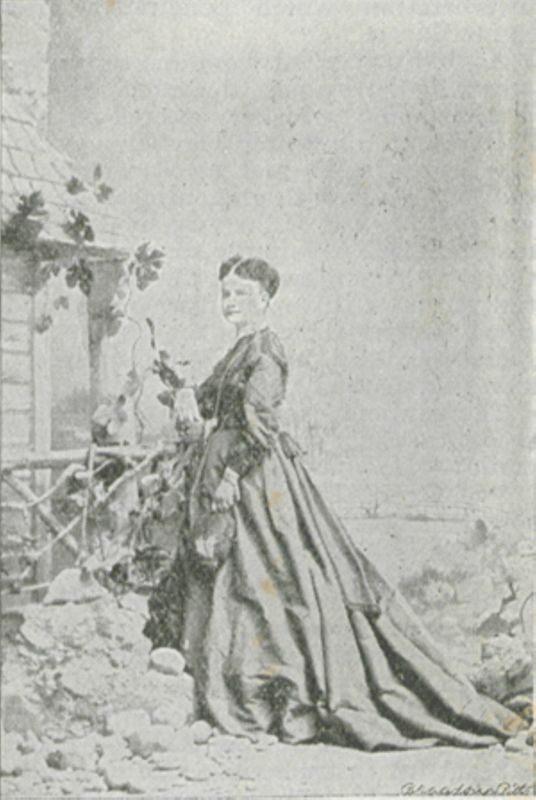 She worked at her father’s bank before her marriage to lawyer William McKinley in 1871. They had two daughters, both of whom died young. She became known as an invalid, due in part to an effort to conceal epileptic seizures—publicly called fainting spells—which developed in her middle age. 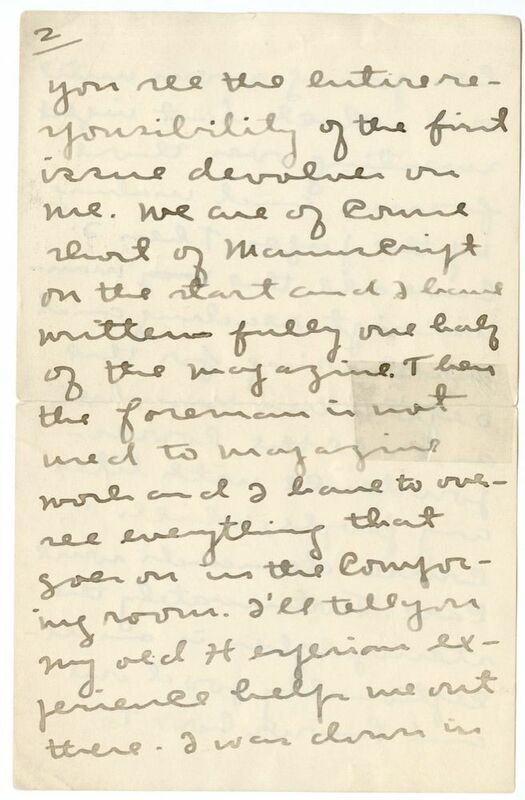 Devastated by her husband’s assassination in 1901, she lived in seclusion for the few years of her life afterward. 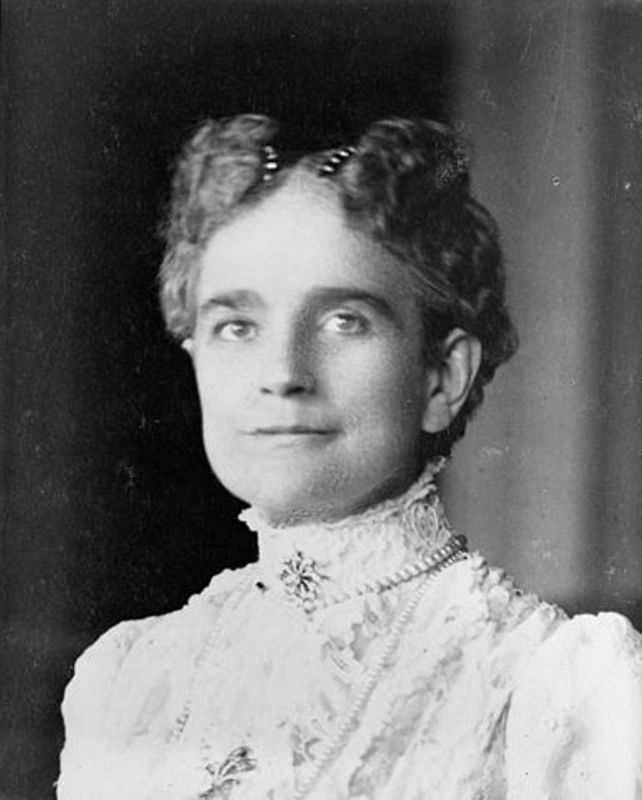 When William McKinley was running for president in 1896, Cather wrote a profile of Ida McKinley for the Home Monthly. Phillips, Captain Rolla O. (1849-1899). American Congressman and businessman. Born to Eli Phillips and Jemima Oliver in Pennsylvania, Phillips graduated from Waynesburg College before enlisting in the Union army during the Civil War. 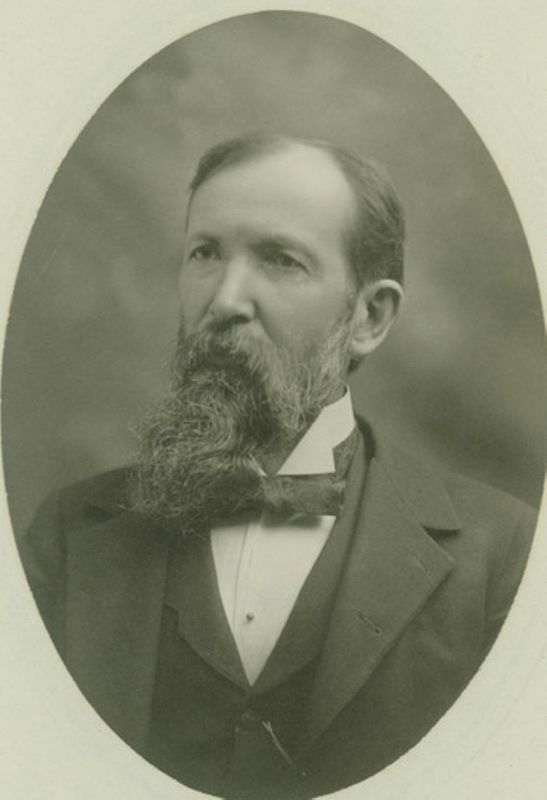 Admitted to the bar in 1868, he moved to Lincoln, NE in 1869, where he served as deputy county clerk and county clerk before his election to the lower house of the Nebraska state legislature in 1876. Phillips also worked for the Lincoln Land Co., the South Platte Co., and for the Burlington and Missouri railroad. 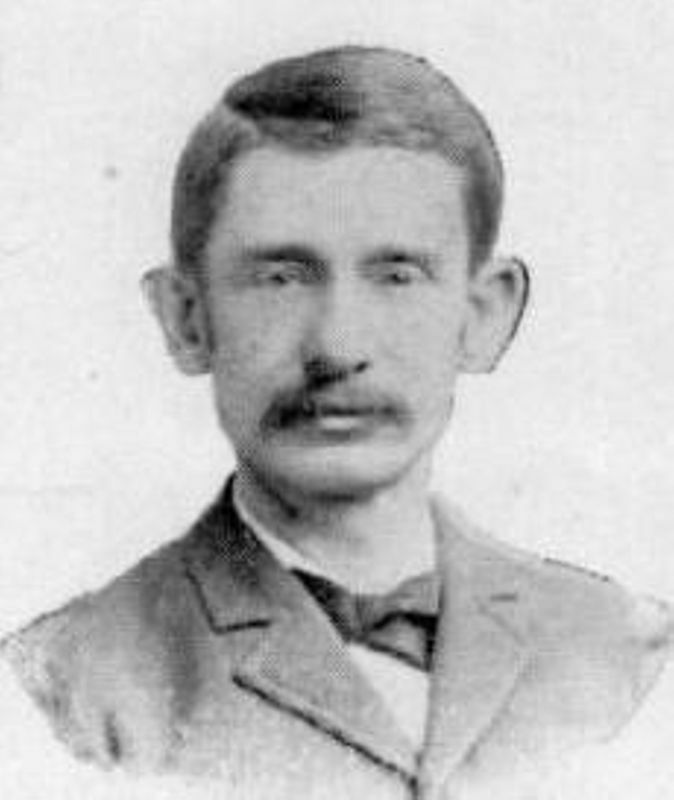 He married Mary Jane Gudgel in 1872, and the couple had three children, all of whom died within two years of their births. 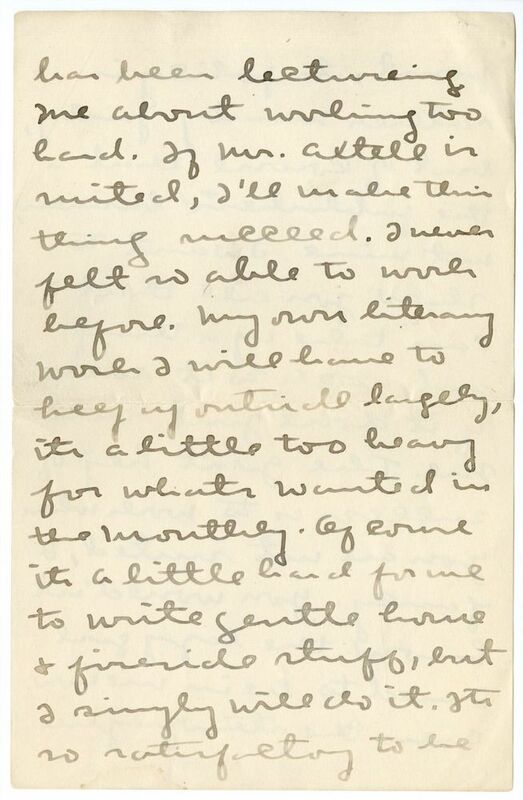 Cather knew Phillips from her time in Lincoln. Jones, Will Owen (1862-1928). Newspaper editor. Will Owen Jones was born in Wisconsin and came to Nebraska by 1880. He worked for the Nebraska State Journal while attending the University of Nebraska in Lincoln, graduating in 1886. That year he became city editor of the paper, then associate editor in 1889 (the year he married pianist Edith M. Doolittle), and then managing editor in 1892. He was close to Charles and Mariel Gere, the owners of the Nebraska State Journal, and the Jones’s only child, Mariel Jones, was named for Mrs. Gere. 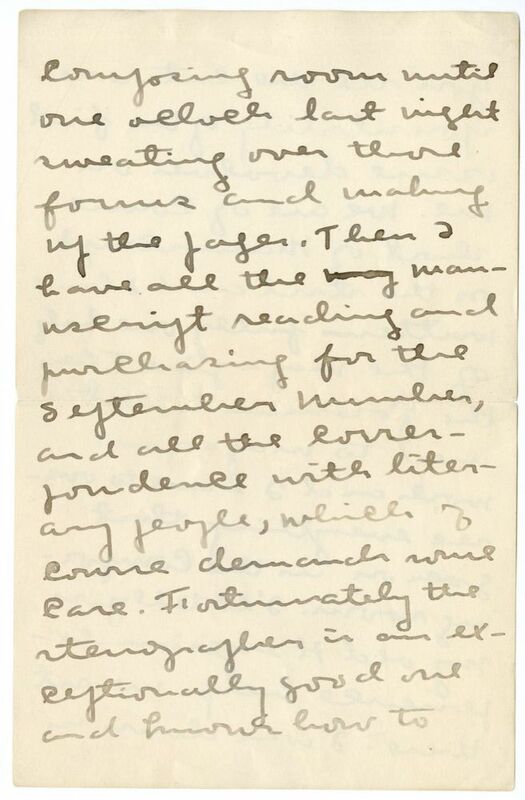 Cather took his journalism course at the university in 1893 and wrote to him often early in her career, although he could be severe in his criticism of some of her work. Rush, Carrie Axtell (1875-1920). Cather’s Pittsburgh acquaintance. Born in 1875 in Pittsburgh, PA, Carrie Rush was the first child of John Rush and Mary Axtell Rush and remained in Pittsburgh until her death in 1920. 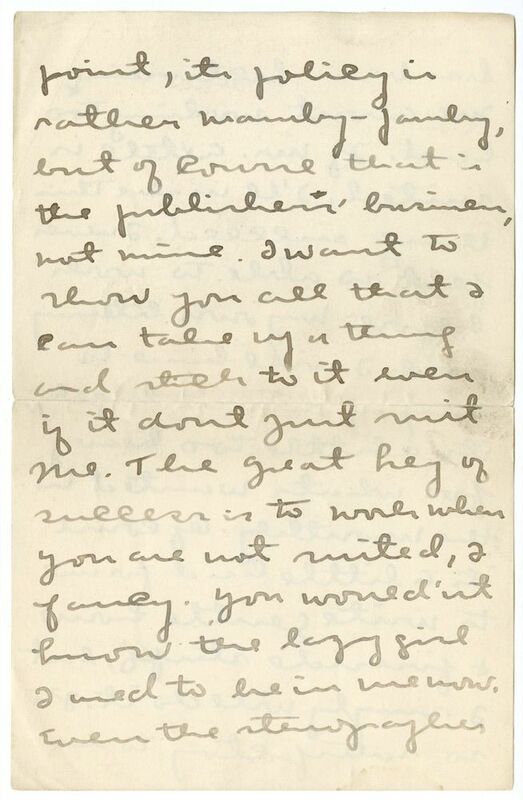 Cather met Carrie Rush as one of Lida Axtell’s cousins, describing the Rush sisters as “three tall, plain, stiff, prim, Presbyterian Miss Rushes” (#0026). Perry, Ann Eliza Holt Rush (1885-1974). Cather’s Pittsburgh acquaintance. Born in 1885 in Pittsburgh, PA, Eliza Rush was the youngest child of John Rush and Mary Axtell Rush. 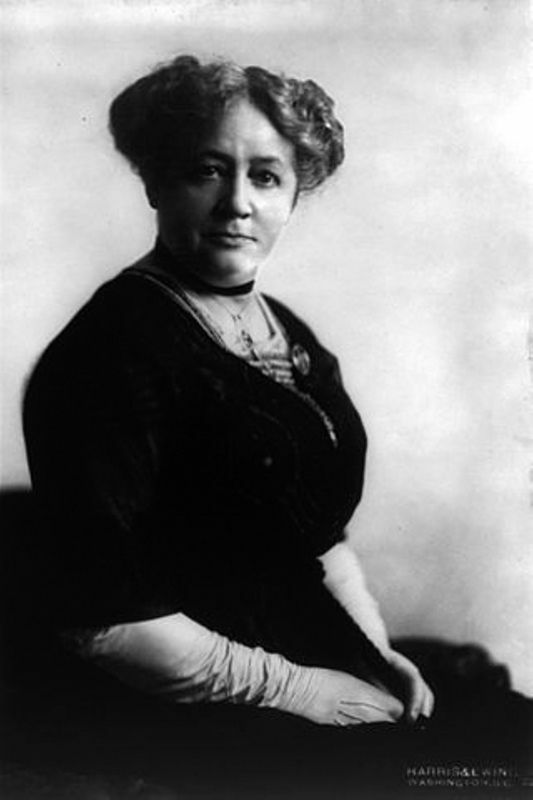 She married Thomas E. Perry, a Pittsburgh food broker, to whom she became engaged in 1905. 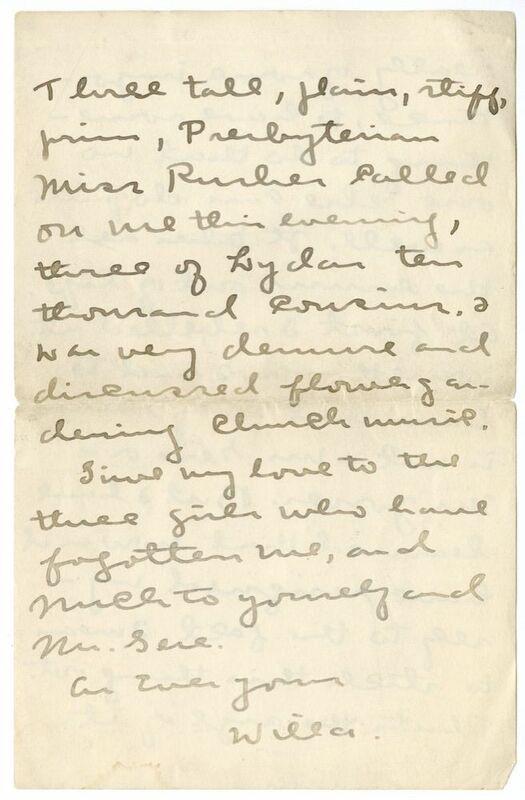 Cather met Eliza Rush as one of Lida Axtell’s cousins, describing the Rush sisters as “three tall, plain, stiff, prim, Presbyterian Miss Rushes” (#0026).